Jason Ryan just announced a very cool body mechanics walkthrough by Dreamworks/ex Blue Sky animator/Animation Mentor animator Mike Walling. Even if I have enough experience with body mechanics, at $29.99, I couldn’t resist and bought it immediately. I just wanted to hear Mike’s approach to that kind of shot and confront it with my own workflow. The video is also featuring Victor Vinyals and Oli Josman latest rig “Skyscraper” a very good looking heroic rig I wouldn’t mind getting my hands on, it is so appealing! 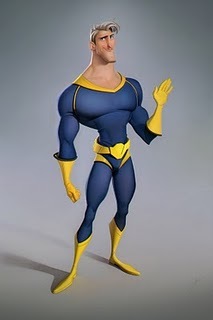 I might actually join Ianimate next term and eventually get that rig. Reading Victor’s blog I realised that he might give away his old Businessman rig very soon! This article by Dreamworks animator Cameron Fielding is a very good read for people hoping to one day work in the US. I just modified the Tutorial category and created an Education section instead. I felt that the last items I posted fell more into a broader Education category since they are more observations than actual tutorial. This also a tribute to Neil Blevins (Soulburn 3d). With Michael Comet and Keith Lango, he is one of the first CG online educators from whom I learnt a lot. Do you remember this documentary about Richard Williams in Soho Square timing out motion of people and animals around him? Amazing wasn’t it? This is where this project originates from. Being able to time out an action just by looking at it can only be done by people with years of experience but with some training you could probably do the same much quicker. In my quest to gain a better understanding of timing and to share my research with fellow animators, I finally created a video version of my Animation Beat Box. Click on the pic below and enjoy. Lip sync scared me for a long time but this was due to my lack of experience more than the actual job of animating lips and expressions to the audio. For a while, I thought doing lip sync meant to choose a sequence of premade phonems and blend them more or less successfully as led to think by the Preston Blair animation book. To be fair, this is pretty much what you are supposed to do in most TV series but the result will always look very approximative and of low quality which is fine when your audience is preschool. A good rig such as the freely available Norman or Morpheus, despite the collapsing geometry for specific closed mouth shapes, should allow you to handle those criteria. 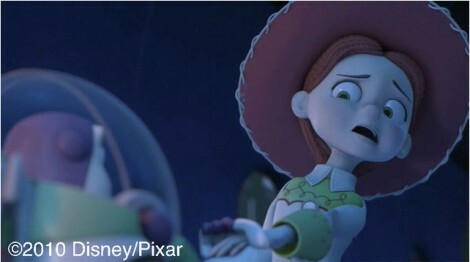 To illustrate this, here is a video I extracted from the Toy Story3 trailer and animated by Victor Navone. I added on-screen notes and a graphical representation of the audio waveform so you can compare the timing of the audio to the mouth shapes. (thanks Chris Cantero for the animation credits). 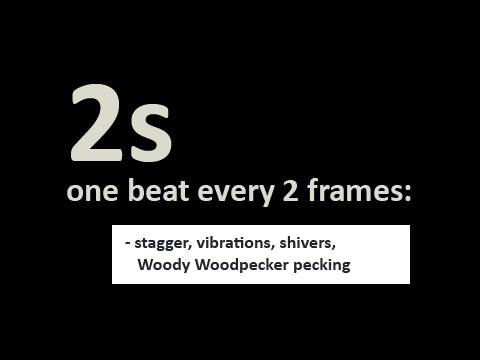 To read all the notes, save the video on your hard drive and play it frame by frame. Microsoft Windows users should play the video with KMPlayer to get the audio feedback while step framing. I think one or two frames are missing for the bottom lip roll overlap but this should make it a very good start to your lip sync learning. 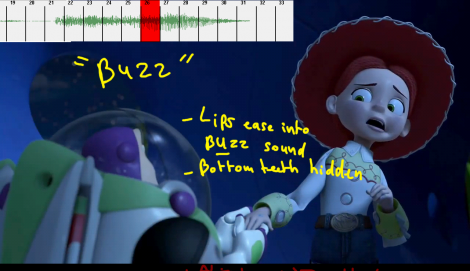 As a side note, the final shot has been slightly altered in the theatrical release with Buzz holding Jessee’s left hand rather than her right, I would be interested to know what the reasoning was behind that decision. They are obviously going for a tighter shot so we can focus on Jessee’s reaction but I don’t like her new pose much as her arm gets in the way and is buried in her silhouette. Here is a screenshot from Victor’s Toy Story 3 showreel. I hope you like it, I have a James Baxter pencil test coming up next. KM Player best video player ever!